All BRIDGES EAST PARCEL 2-6 homes currently listed for sale in Gilbert as of 04/22/2019 are shown below. You can change the search criteria at any time by pressing the 'Change Search' button below. 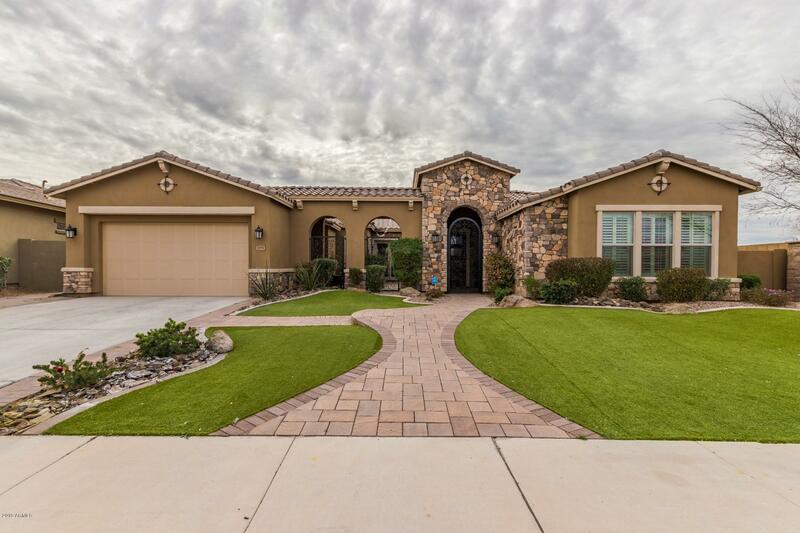 "Spectacular David Weekly, former model home, in the award winning ''The Bridges of Gilbert'', has countless upgrades you can only experience by viewing - including $20,000 new flooring and $7,500 epoxy flooring and cabinets in the garage. Courtyard with gas fireplace welcomes you as you enter. Soaring 12 foot ceilings, exposed beams, crown molding, and a soft color scheme will delight your senses. Large open concept living room with gas fireplace, new grey wood tile floors, kitchen with stai"